We were having friends over for New Year’s Eve, so I put together a special menu of beers worthy of such an occasion. When you think of New Year’s Eve, you usually think of popping the cork on a bottle of Champagne. Cracking open a cap on a bottle of beer somehow didn’t seem fitting. So I went looking for big bottles of brew with a cork and cage, so I could pop the corks in celebration of 2012. I found a few cork and cage bottles and other specialty brews, which along with the excellent brews brought by our guests provided a fabulous beer menu to ring in 2012. 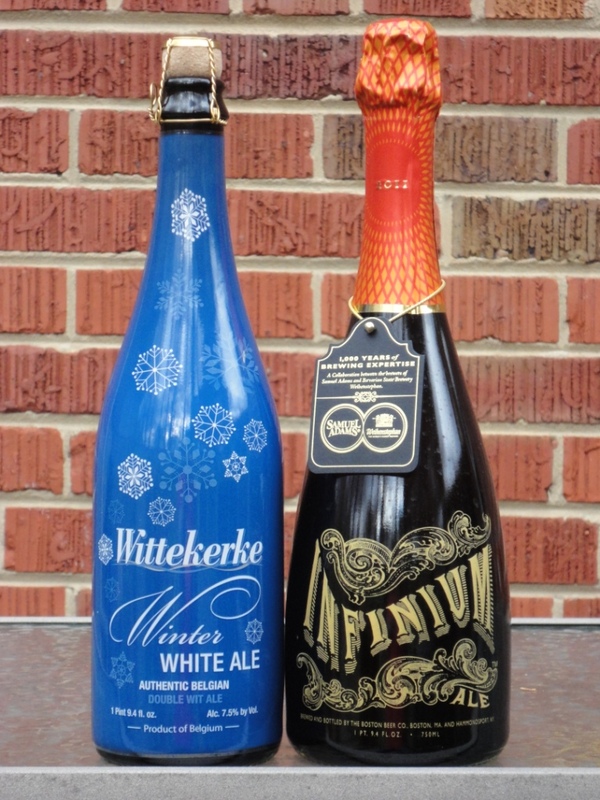 Wittekerke Winter White Ale, Harelbeke, Belgium (7.5%), an authentic Belgian Double Wit Ale. 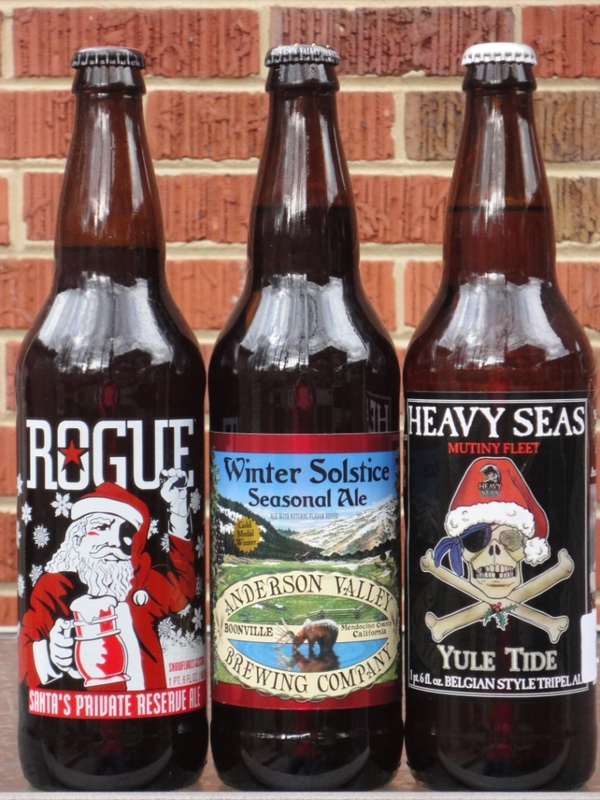 Winter Solstice Seasonal Ale, Anderson Valley Brewing Company, Boonville, California (6.9%), a traditional Winter Warmer. Santa’s Private Reserve, Rogue Ales, Newport, Oregon (6.0%), this Amber Ale has a malty flavor and spicy finish, and is one of my favorite winter seasonals. 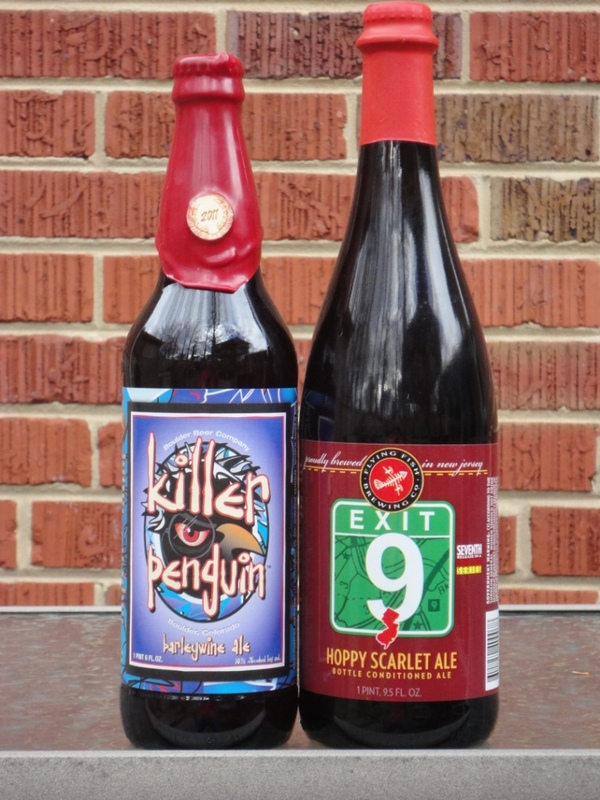 Exit 9 Hoppy Scarlet Ale, Flying Fish Brewing Company, Cherry Hill, New Jersey (9.0%), a richly flavored American Strong Ale that is assertively hopped. Yule Tide, Heavy Seas Beer, Baltimore, Maryland (10.0%), a Belgian Tripel Ale. Killer Penguin, Boulder Beer Company, Boulder, Colorado (10.0%), a smooth and strong Barleywine Ale. Life and Limb, Dogfish Head Craft Brewery, Milton, Delaware and Sierra Nevada Brewing Company, Chico, California (10%), an amazing collaboration beer that has its own web site. The entire menu was awesome, but there were a few stand-outs: Exit 9, Killer Penguin, and Life and Limb. I also really liked the Wittekerke White Ale because it was a lot different than your usual dark winter brews. The New Year’s Eve celebration with friends, especially fellow craft beer enthusiast, made watching 2011 turn into 2012 a memorable beer-drinking experience.